The Asian Awards will be honouring Blessed Mother Teresa with the prestigious Founders Award at its 6th annual event on Friday 8th April in London. Previous honourees of the Founders Award include political activist Ahmed Kathrada, acoustics supremo Dr. Amar Bose and legendary icons Freddie Mercury and Bruce Lee. Paying tribute to Mother Teresa is a groundbreaking move from the organisation, as previous honourees have all been of Asian origin. 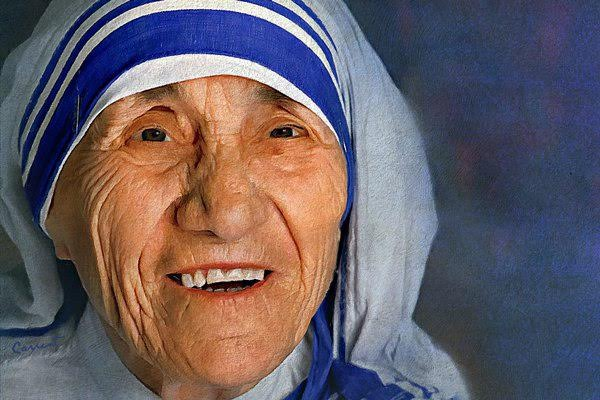 Mother Teresa was born as Anjeze Gonxhe Bojaxhiu, and although she later became an Indian citizen, her origins lie in former Albania, now Macedonia. However, The Asian Awards Founder, Paul Sagoo, feels that diversity is key in moving forward with the awards. He said: “We have noted the recent calls for greater diversity in International award ceremonies such as the Grammy’s and Oscars especially with social media campaigns like #OscarsSoWhite making headline news. Although the premise of The Asian Awards is to give people of Asian origin a platform to be recognised, we also see it as our responsibility to be culturally inclusive. There are so many individuals around the world who are not of Asian origin, but whose remarkable contributions to the Asian community need to be highlighted. Mother Teresa is one of the most highly regarded and respected figures of our time. Known as “the saint of the gutters”, she was awarded the Nobel Peace Prize in 1979 after dedicating her life to working on behalf of the poor, particularly in the slums of Kolkata. Mother Teresa began her life of service as a teacher in the late 1920s for 17 years prior to devoting herself to caring for the sick and underprivileged in India. She founded The Order of the Missionaries of Charity as a devout Roman Catholic, which created a hospice and centres for the poor, aged, ill, diseased and disabled. In March 1997, she retired from her post as the Head of Missionaries and sadly passed away a few months later on 5th September, coincidentally five days after her close friend, Princess Diana. After her passing the Holy See began the process of beatification, the final step towards canonisation (the declaration that a person who has passed away was a saint). Pope Francis is set to announce the date and venue of Mother Teresa’s canonisation most likely to be in September 2016. A host of stars, business leaders and politicians will once again attend The Asian Awards on April 8th at The Grosvenor House in London. The Asian Awards celebrates the outstanding achievements of individuals who impact Asia or Asian people across all disciplines of life. Last year, Zayn Malik, Shah Rukh Khan, Gary Linekar, and Russell Peters attended the star-studded event.